This paper discusses some issues for generating points of contact on object grasping by multifingered robot hands. To address these issues, we present a general algorithm based on computer vision techniques for determining grasping points through a sequence of processes: (1) object’s visual features, we apply some algorithms for extracting vertices, edges, object’s contours, (3) modeling the point of contact by a bounded polytope, (3) based on these features, the developed algorithm starts by analysing the object’s contour to generate a set of contact points that guarantee the force-closure grasps condition. 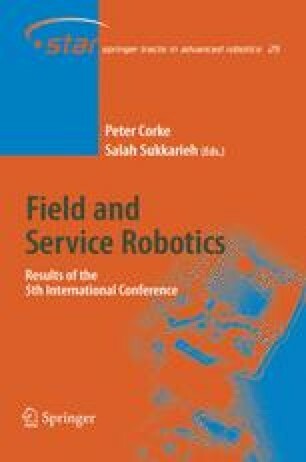 Finally, we briefly describe some experiments on a humanoid robot with a stereo camera head and an anthropomorphic robot hand within the “Center of Excellence on Humanoid Robots: Learning and co-operating Systems” at the University of Karlsruhe and the Forschungszentrum Karlsruhe.